Saudi Arabian Mining Co (Maaden) has signed a US$5bn financing deal with commercial banks and a state-owned investment fund to back its US$7.5bn phosphate production project in the kingdom. The project in the northern city of Waad al-Shimal is a joint venture between Maaden, Saudi Basic Industries Corp and Mosaic and is part of Saudi state efforts to create a stronger industrial base beyond oil refining and export. Phosphate is commonly used in fertilisers. 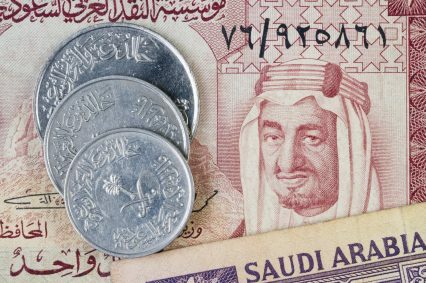 A total of 16 local and international commercial banks, including Al Rajhi Bank, BTMU and BNP Paribas, as well as three export credit agencies and the Public Investment Fund (PIF) signed the financing agreement on June 30, a bourse filing states. The loan agreement has a 16.5-year tenor and repayments will be made on a semi-annual basis from December 31, 2018. No split between the commercial bank financing and that from the PIF was given. However, Maaden said in April it had secured a US$2bn loan from the PIF to support the Waad al-Shimal project. The scheme will have a production capacity of 16 million tonnes per year of phosphate concentrate, sulphuric acid, phosphoric acid, as well as plants to produce calcium monophosphate and calcium diphosphate, Maaden said previously, with phosphate production expected to start in late 2016. The rest of the funding is expected to come in the form of equity loans from the project sponsors. Maaden said in May it planned a SR5.6bn (US$1.5bn) rights issue to support its expansion plans, although it didn’t specify how much would be used to fund the phosphate scheme. HSBC is advising on the rights issue, as it did on the wider project financing.